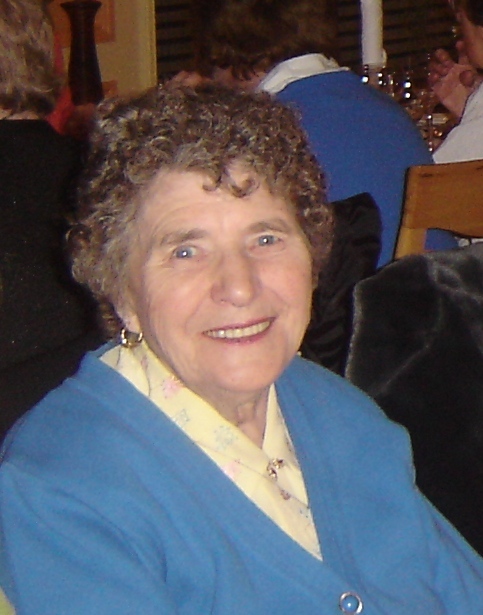 Nora Williams was born in 1927 to Thomas and Mary Mannion and raised in a thatched cottage in Carrowmanagh, Killererin, Co. Galway. Both her parents died in 1942. 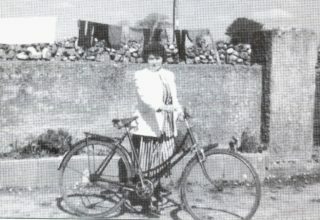 Subsequently, Nora spent her days on the farm with her brother and her nights knitting and sewing with her sisters. She emigrated to England where she met and married Mick Williams. Shortly afterwards, the young couple returned to the family farm in Clogherboy where they reared nine children. Nora was a prolific writer and storyteller and regularly contributed to the parish magazine until her death in 2016. Her book Tales from the Past was published prior to her death in 2016 and covers topics such as The Lime Kiln at Carrowmanagh, The Country Wakes, The Thatcher……..
Nora has left an invaluable legacy to the people of Killererin. Her records are an important oral and social record of life in our parish and will be cherished and preserved by Killererin Heritage Society. Our article about Nora’s writing and stories is to be included in an upcoming exhibition on “Our Irish Women” at The Courtyard Gallery, National Museum of Ireland Country Life, Castlebar. This exhibition celebrates extraordinary “ordinary” women who made a contribution to their communities during their lifetime. This page was added on 02/08/2018.